A carpet transition is the place where the carpet meets another type of flooring. This includes the seam between carpeting and a wood or tile floor, a linoleum floor, or any other type of non-carpeted flooring. Transitions can be points of weakness in your carpeting if the installation was not properly handled or if there has been some cause for tearing at the point of transition. Magic Touch Carpet Repair delivers carpet transition repair in Scottsdale that is guaranteed to keep the carpet seam firmly and permanently in place. Our carpet transition repair professionals assess each type of transition. We show up fully prepared for whatever the situation calls for. When shims are needed to create a smooth transition to a thicker type of flooring material, our carpeting experts size and install the correct sized shims. Other times, the transitional flooring is thin and the carpet only needs to be tucked under. It is generally best to cut and stretch the carpet first, for a firm fit. Each of these factors requires an experienced eye to ensure it is done right. No matter the type of transition or whether it is fraying, come apart, or simply lose, we adjust and re-fix the carpet for a smooth transition. As a locally-owned company with more than a decade of experience providing carpet repair services, we have earned our reputation as a trusted, affordable, quality company. We offer upfront estimates and never jack up our prices or tuck in hidden fees. Each of our professionals is well-trained, experienced, and ready to provide excellent customer care. That is why we have so many referrals and repeat customers! 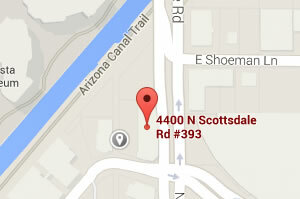 Call today for your carpet transition repair in Scottsdale or the surrounding areas.